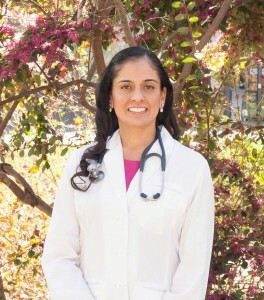 Dr. Jaspreet Mundeir, ND is a licensed Naturopathic Doctor by the State of California. Dr. Mundeir is the owner of East Bay Natural Medicine where she focuses on helping patients achieve their optimal health state using homeopathy, hydrotherapy, nutraceuticals, botanical medicine and bio-identical hormones. Dr. Mundeir has a B.S. degree in Psychology from the University of California, Davis and a degree in Naturopathic Medicine from Southwest College of Naturopathic Medicine in Tempe, Arizona. Before starting naturopathic medical school, she served for six years as a Medic in the California Army National Guard. She currently teaches Nutrition at CSU East Bay. Dr. Mundeir has been actively engaged in achieving wellness throughout her own life, and continues to search for ways to improve herself. She has been dedicated to helping her patients achieve their full potential so that they are able to enjoy what life has to offer. Whatever your goals are in regards to your health, Dr. Mundeir is able use naturopathic treatment modalities to fit your needs. Dr. Mundeir was born in India, raised in the Bay Area and currently practices in Walnut Creek, California. Dr. Mundeir lives with her husband in the East Bay and in her free time enjoys baking, eating, scrapbooking, hiking, exploring new places and has ambitions of having her very own organic garden.